Horrible bosses is an excellent film and I have given it 4.5 stars. 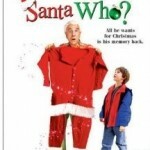 This film is a highly entertaining comedy, laugh out loud funny all the way from start to finish. It is quite adult humour, very dark in places, but no less enjoyable for it. 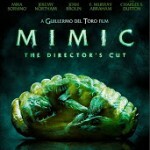 Mimic is an extremely entertaining film and this new release is no exception to that, so I have given it 4 stars. Last Night is a pretty take it or leave it kind of film and for this reason I have given it 3.5 stars. Chalet Girl is a highly enjoyable film and I have given it 4 stars. This is a British film, written by Tom Williams and directed by Phil Traill (All About Steve) and as such has the delightfully flippant yet somehow still occasionally serious feel that the British capture so well in their films.